Model Management Hamburg was founded by Heidi Gross in 1990 and has become one of the best and most successful German agencies. Model Management has been instrumental in promoting the careers of Claudia Schiffer and Heidi Klum, two of the best known faces in the business. Model Managements’ celebrities also include Liz Hurley and Ines Sastre. 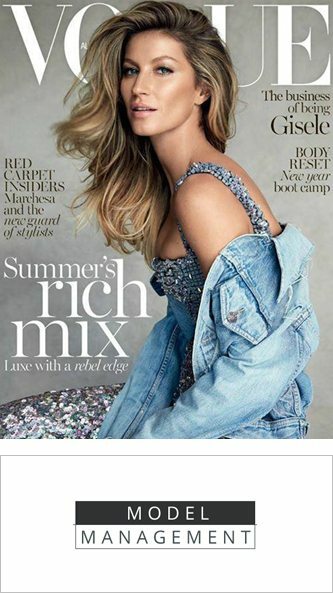 Model Management also represents top models Alisa Ahmann, Alena Blohm, Charlott Cordes, Dalia Günther, Victoria’s Secret Angel Josephine Skriver, L’oreal Ambassador Bianca Balti and Supermodels Gisele Bündchen and Anna Ewers.